Thanks to all of you, My Craft Spot blog has grown until it is bursting at the seams! 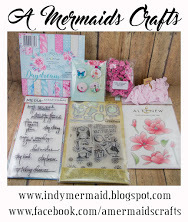 Kimberly has so many fun stamps, metal dies, ribbon and twine colors, that her little blog can no longer hold it all. So, she just had to make a new website for My Craft Spot's Store! 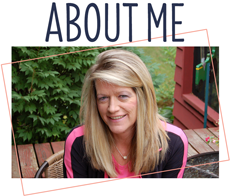 To make shopping at My Craft Spot easier, she has separated her online store from her blog. 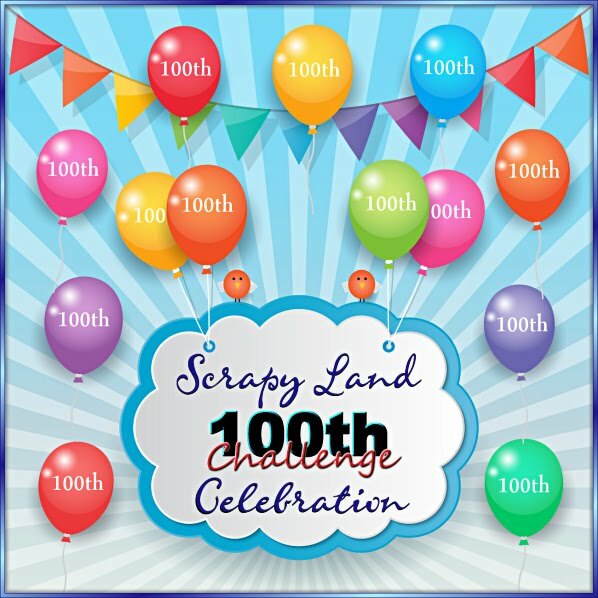 Kimberly's blog will still be full of inspiration and fun challenges with prizes, but when you want to shop, everything will be mush easier to find! The new store is organized by product type, searchable, and has a shopping cart. Isn't that awesome?! 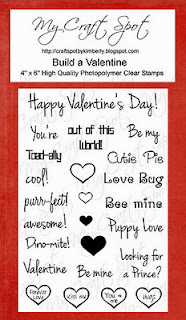 Leave a comment at My Craft Spot letting Kimberly know what you think of the new store for a chance to win Build a Valentine stamp set! To celebrate her new online store opening, every order over $25.00 will receive a FREE bag of Snow Flurries Sequins!! What are you waiting for?! 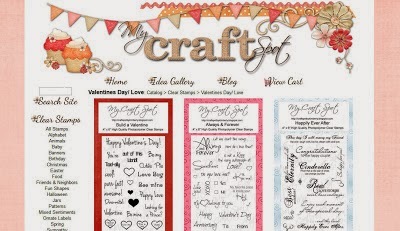 Go check out the NEW My Craft Spot Store! Thank you SO much Emma for having me today!!! With Christmas right around the corner I was in need of some fun tags to add to a few of my gift bags. So, I got busy and this is what I came up with! I started with My Creative Time's Stitched Doily Die and layered a fun tag using the Tags Die at which I then layered onto the doily. I just love the new Classy Girl & Furbaby Dies, don't you? I cut my girl out in tan and again in red, black and white so I could paper piece a little for a fun look. I also used the Classy Girl Accessories die for some of the pieces as well. 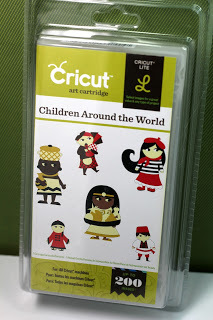 It's almost like I was playing paper dolls~like when we were kids...so much fun! 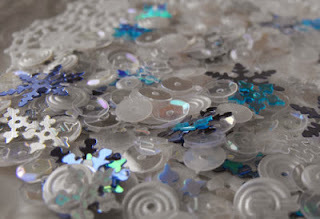 I added a Fun Size Scallop Stitched Bow to the top of the tag and some fun sequins to the center of the snowflakes to dress up the tag. To finish the tag, I topped it off with some fun ribbon, a Jute String bow and stamped a sentiment from the Teeny Tag Holidays Stamp Set. I used My Creative Time's Scalloped Stitched Envelope Die and Stitched Journal Die and made a quick Christmas card to add to a gift package. The papers I used are from The Paper Studio Cheery & Jolly collection. I decorated the front of the envelope with the Vintage Stitched Labels Die & Stitched Circle Die and the sentiment is stamped with the All Around Christmas Stamp Set. I wrapped some Christmas colored twine that I had in my stash and tied a bow. 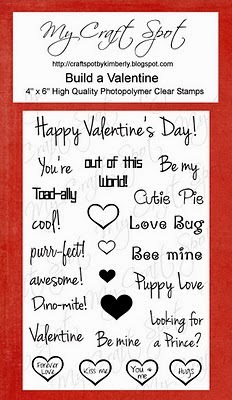 The cute pull out is the Stitched Journal Die. I layered a panel that was 3 x 2 3/4 and ran it through the cuddlebug with the new Fun Stitched Edges Die for the little border along the bottom. I added skittles to the bottom for a fun look. The adorable reindeer is cut at 2 1/4 from the Winter Frolic cartridge plus the layers. I stamped the sentiment with the All Around Christmas Stamp Set. 2.) Die Cuttin Divas Challenge #145 Tag it!